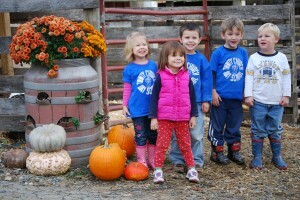 The TCDS Parents’ Club is a vibrantly active organization that organizes year-long events for the school. Enjoyed by both the students and the families of Trinity, these events both enrich and complement the wonderful environment provided at Trinity. An annual tradition at Trinity, the ice cream social is a wonderful end to the summer and a sweet beginning to the school year. This popular fundraiser allows you to take away some of the stress of the holidays by purchasing delicious elegant desserts, pizza and more. Join us for live music, delicious food, outdoor fun for the kids, and the most delicious chili our school community has to offer. Reading to your child is so important and Trinity encourages this daily with our onsite library as well as providing opportunities to purchase quality books at great prices. The best part of Christmas for parents is opening the gifts their children have selected themselves at their Santa’s Workshop, a festive event that is as much fun for the parents as it is for the children. TCDS Parents’ Club hosts one or two of these per year. Meet up with other Trinity families and friends at a local restaurant. A portion of purchases will benefit TCDS. Clip the BoxTops for Education coupons from a multitude of products. Each box tops earns 10 cents for our school. This is our big event! Join family and friends for a terrific evening of food, music and fun while bidding on a wonderful variety of auction items. Back by popular demand! Children create an art image in class that can be reproduced on a variety of products. "We LOVE Trinity Church Day School! The staff at TCDS are Angels, just like the children who attend!"